"I never really thought I'd make the grade. And let's face it, I haven't." A quote attributed to George Sanders. A nice bit of self-deprecation, but it's hard to argue that he didn't make the grade in possibly his finest, and Oscar-winning, role as Addison DeWitt in All About Eve, a wonderfully cynical and waspish film character. That instantly recognisable and urbane voice brought delight too in the characters of Shere Khan in Jungle Book, Lord Henry Wotton in The Picture of Dorian Gray, and as Charles Strickland in Maugham's The Moon and Sixpence. Not quite making the grade, perhaps, though not because of Sanders, is the film Journey to Italy. In theory, it's all there (for Old Tweedy): George Sanders and Ingrid Bergman as a bored married couple, with Naples circa 1953 in the background. Intended as an English-language piece of Italian neo-realism, at best it's a pleasant watch. 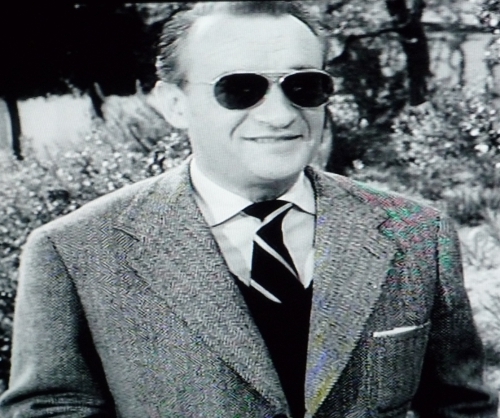 I enjoyed the shots of Sanders in sunglasses (which appear to be Ray-Ban Aviators) and herringbone tweed (above). And, of course, the voice was as lovely as ever to listen to. 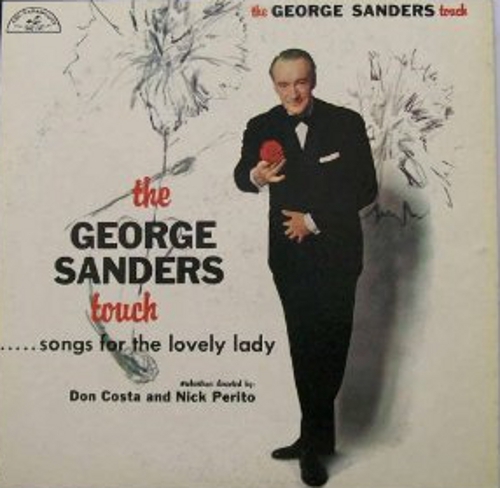 I heard a track from the album The George Sanders Touch: Songs for the Lovely Lady a few years ago. I've been hoping for a CD reissue ever since. No joy yet. George's autobiography, Memoirs of a Professional Cad, is traceable, but it is prohibitively expensive. Let's hope for a reprint, chums. We have some good news. Since publishing this post, Memoirs of a Professional Cad has been reprinted.